Time was running wild, ticking by with the exhilarating inevitability of a James Bond style doomsday device; a very special guest is expected imminently. My room looks like what it is – a place for a plumber to keep his tools with a bed shoehorned into the corner. I’ve tidied for hours; the end is almost in sight. So we went foraging. Priorities init? AIR (Artist In Residence) and your pal the Bushwacker set out to forage the neighbourhood. The apple tree, that was to be the basis for our planned crumble had been stripped so we crossed the bridge onto Hackney Marshes. Where it turned out a bounty had been laid on for us. Blackberries seemed a bit past their best, but Elderberries had just come on-song. Is this an EDIBlE red currant tree? The Forrest has been out for a while now, so I thought it was about time we compared the new model to the benchmark Clipper. When I posted my 1st review of the Forrest, regular commenter and wise blogger Hodgeman commented that 'Mora is probably the biggest bang for buck outfit in existence' and I make him right. You can spend crazy money on a knife and you get style, fit, finish, and the joy of owning something made by a real craftsman, what you don't get is a knife that's any better at cutting than the £10/$10 Mora Clipper. They take a wicked edge and hold it pretty well too. Several bloggers and You Tubers have repeated Mors Kochanski's demonstration and beaten one into a tree trunk then stood on it. Some of them pretty big fella's too. As you can see the Clipper is made to a price, a low price. The bade is stamped from sheet steel and then has the cutting edge fairly crudely ground on to it before being set in a plastic handle. In the picture you can see the marks left my the grinding process, not great looking but that's not what you're buying at a 10 spot. All the money is in the steel i.e the bit you cut with. The Forrest is all together a classier proposition, almost as though Mora realised they'd already cornered the market in the cutting-tool-for-low-price space, and have now set out to teach the vendors of £30/$30 knives how it's done. The blade has benefited from some sculpting, which does add something to the usability of the knife. I'm massively impressed. It's not easy to define the difference ( post a comment if you feel you can put it into words). The sheath has benefited from a design re-think, with the old clip-on design replaced by a through-the-loop system which not only offers added security, but lets the knife move in relation to the users posture. So in short the extra cash has gone on the blades grind - much neater, the blades shape - one part for slicing cuts one part for pushing cuts, and the sheath - a vast improvement. When even The Northern Monkey says it's worth the extra cash, you know it's value for money! Lets get ready to ruuuuuumble! Two giants of the swedish knife making industry are squaring up to.... Nah it's not really fair, one is a heavy weight survival knife that can happly be used to pry floorboards up and the other is a svelt bushcrafter. I've never had a survival knife that was so confidence inspiring as the F1, maybe it could be an inch (25mm) longer, but then it wouldn't be quite as wonderfully stow-able as it is. The blade could be a tad thinner, but then it wouldn't be as strong as it is. It could be easier to sharpen, but then it wouldn't hold an edge as long as it does. I've beaten it into a log 'till the mallet disintegrated, I've pried 70+ year old floorboards up with it, I've taken it into the Tuscan hills and used it for everything (food, firewood and green wood) for a week and it would still take hairs off my forearm. It's weaknesses are it's strengths. Hell of a price these days if you buy it in the UK, still very reasonable in the US of A. How do you take the worlds best value utility knife and make it even better? Well the chaps at the Mora knife worx must be talented because they've made it look easy. I'm hoping to get a few years of use out of mine so I haven't pounded it into any logs, but on past experience of their other products I suspect it would come out, if not unscathed, at least still useable. It's certainly a better food preparation knife than the F1, easier to use, and easier to sharpen, like all Mora knives it takes a wicked edge and holds it well to. As well as the F1? No - but very few steels hold an edge like VG10, all of them a lot more costly than the bargain Mora Forest knife. To be frank with you I wouldn't be without either of them, the Forest knife is the one I reach for for most tasks, it's an excellent craft knife and butchery tool. But on a canoe trip, or hunting in the Tuscan hills I'd want to know the F1 was there. See it's spreading, I've been keeping these pears under observation for a while and was planning to go back with a ladder, but yesterday afternoon I saw these two 'highway harvesters'. Raiding what I'd come to think of as MY 'Conference' pears. I've also long wanted to go on the prestigious WEISS survival course which is held there, unfortunately I'm not the only one, so when I had the money all the places were booked up. Now Gary from Bearclaw Bushcraft who organises the UK contingent for the WEISS course, has teamed up with a local crew to offer a mix of guided and self guided trips. At merciful prices. They do the whole mix: Bushcraft courses, Fishing trips, Canoe expeditions and Hunting. At this time Gary doesn't yet have all the details of how this winters hunts will be organised and the full details of the firearm permits for EU and non EU nationals, but cash permitting, I'll let you know before I leave! If you're only able to go for a week your looking at about 60% of these costs. You see - Just like Rev Lovejoy said 'the CHEAP showiness of nature'! If you reckon you're going to make it get in touch as The Northern Monkey and myself are planning to go and we cordially invite you to drinks and a storytelling competition around the lakeside campfire one night. Traditionally carved from the burl growth of a Birch tree, these wooden cups known as Kuksa or Guksi are as Scandaweegen as anything. In the cold of the Sammi peoples arctic homeland a metal cup would be a one way ticket to a stuck lip. So the insulating properties, and light weight of wood make this a perfectly adapted tool for the region. They also look totally cool in the suburbs, and clearly designate their owner as 'more bushcraft than thou' around any campfire. So there. In these times of economic uncertainty the overpriced, and the badly made will - if you believe in the sanctity of Adam Smith's worldview - be driven from the marketplace. Here's how. I've wanted to test out the new Mora's for a while now, so when the chance came to trade for one I jumped at it. The Forest model is about three times the price of the much loved Mora Clipper so I was intrigued to see if the Forest was as big a bargain as it's stable mate. Designed with the bushcrafter in mind the Forest has a blade length of 106 mm (4.17in), and is 2.5 mm (0.1 in) thick Sandvik 12C27 steel, hardened quite softly [if that makes ant sense at all] to HRC 57-58. The knife currently only comes with a khaki green hand grip and a sheath of the same colour. I'd have preferred orange myself. The sheath design is a vast improvement on the old clipper sheath, the belt loop fully encloses the belt, rather than just clipping on, and it allows the knife to pivot with the wearers movement. The new design of profile-ground stainless steel blade is a fair bit more sophisticated than the Clippers stamped offering. It follows the idea that as different parts of the blade are used for different tasks the blade can have different profiles to accommodate them. I'm guessing the extra grinding is what's led to the the price hike. The blade works very well. I've never had a stainless steel Mora before, but found it easy enough to sharpen on the Sharpmaker. Leaving an amusing series of bald patches up my arm. Is it worth the extra cash over the already excellent clipper? Is any knife? Yeah I'm keeping it. It's very nice to cut with, the new sheath is way better. And I've already decided how to pimp the first one. Gary from Bearclaws Bushcraft has the whole range - and lots of other low cost - high usefulness bushcraft kit at his trading post. If all purchasing decisions were made purely on a 'quality of product' to 'cost of product' comparison, would any other knife companies exist? Seriously. There are lots of rubbish water purifier systems availible, quite a few so-so ones and a couple of really good ones, each with thier own advantages. Here are some thoughts on the best options I've used. 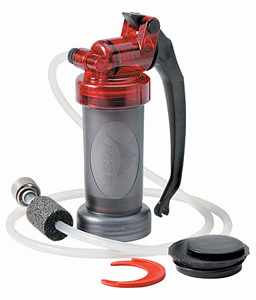 The MSR miniworks is highly regarded, although perhaps a little bulky, and has an amazing flow rate of 1 litre per minute. The miniwoks uses a filtration system down to 0.3 microns which is enough to remove all bacteria, protozoa, etc. Of course, the ceramic filter can do nothing about viruses. They must be killed pre or post use, by either high temperatures, ultraviolet light, or chemicals like iodine and chlorine. Where you believe the water to be virus free [and you're right] the filtration-only design comes into it's own avoiding the taste of iodine or chlorine. The british army and some NATO forces use the Pre-Mac Trekker which, while is has an annoying flow rate of only 0.4 litres per minute, does have other things going for it. Designed 'to produce safe drinking water from contaminated sources by elimination of pathogenic organisms - bacteria, viruses and cysts' in tests by the London School of Hygiene and Tropical Medicine the Trekker achived total elimination of the bacteria Eschedria coli and a reduction of Poliovirus in excess of 99.9%. One clever feature is the use of a resin that has iodine in it, so very small amounts of Iodine are present in the filtered water - leave the water to stand for three minutes and everything's zapped. I like the Trekker a lot, while it pumps slower and has a slight taste of iodine, it packs smaller, and is the best choice for when you absolutely, positively, have to kill every virus in the cup. This has to be the biggest spider I've ever seen in the UK. There were a couple of smaller versions nearby, I'm guessing this is the female of the species? As regular readers will have noticed The SBW blog is usually played for laughs - it's the way I roll, but while not a practitioner of insightful journalism myself [or any other kind] you may have noticed that I'm a massive fan of The Terrierman's Daily Dose where Patrick Burns uses the disinfectant power of sunlight to revel the dishonesty at the heart of the animal rights movement, the Kennel Club and the Pharmaceutical industry, amongst others. The standard of writing is very high and his research is first rate so I was delighted when he was kind enough to join this blog with a guest post about a UK based anti-fieldsports organisation who are engaged in a prolonged campaign to represent themselves as the voice of reason, when as we shall see they are anything but. If you have the time, I'd really recommend following the links at the bottom where some perviously prominent members of the organisation talk about changes to their thinking. Over to you Patrick. Journalists (God bless them) are under crushing deadlines and often do not know much about the organizations and issues they are being asked to cover. One newspaper piece is used to create another, and no one in the press corps goes to libraries at all. The sadness here is that Wikipedia -- the chaotic "anyone with a password" online encyclopedia is often touted as a legitimate source (go to "Google News" and type in "Wikipedia" for conformation) even though what is written there is often nothing more that Public Relations Department puffery. And -- just to be clear -- those public relations departments do not always want the truth to be told. Take the League Against Cruel Sports. They are emphatically opposed to anyone actually posting their true history on Wikipedia. I have appended below the text (with citations) that I added to their Wikipedia puffery, and which they have repeatedly cut out. For those that think this true history should stay, simply go to this post on the League Against Cruel Sports and put it back in by using the "edit this page" tab or the "history" tab (compare and then revert if you feel that is called for). Or, if you prefer, have the time, and are well-researched, add your own take to LAC's Wikipedia entry -- just be sure to footnote stuff and stick to "just the facts ma'am." Originally called the League for the Prohibition of Cruel Sports, the partnership between Henry Amos and Ernest Bell did not last long. The organization had 500 members in 1927, and not many more when, in 1932, Bell left the organization due to a difference in tactics. Bell went on to found the National Society for the Abolition of Cruel Sports (NSACS). In 1982, The London Times revealed that League Press officer Mike Wilkins was actually the convicted grave desecrater Michael Huskisson who had previously set up the Cambridge group of the Hunt Saboteurs Association. (citation citation ) Huskinson was subsequently fired from his League job after he joined the South East Animal Liberation League in sacking the offices of the Royal College of Surgeons (RCS) offices at Buxton Brown Farm, Downe, Kent. Huskinson was sentenced to prison for eighteen months for his role in the vandalism and theft of documents (citation). In the late 1980s, League Executive Director Richard Course was appointed to the Burns Inquiry into hunting with dogs and began to spend some field time with the mounted fox hunts as an outgrowth of this work. After a period of time talking with professional wildife managers, scientists, and hunt supporters, he finally concluded that: "The dogs easily outpace the fox within a minute or two and kill it within a second or two. 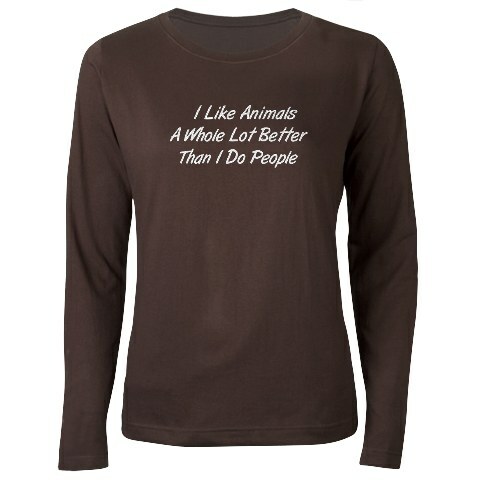 How the fox is located is totally irrelevant to animal welfare considerations," and he began to say to publicly. Course was fired from the League for expressing this and other sentiments divergent from the League's mission. What followed was a period of turmoil and bitter accusations within various factions of the League. James Barington assumed Course's position within the League (still widely known as LACS), but he too eventually quit the organization saying that he too had concluded that an absolute ban on hunting was not in the best interests of animal welfare. Graham Sirl and John Bryant then took over as Joint Chief Officers of the the League, but this partnership did not last long as Bryant quit over the sale of some of the League's wildlife sanctuaries to pay costs associated with political campaigns. LACS went through more leadership turmoil in 2001 and 2002 until, in January of 2003, actress Annette Crosbie was named President. In a January 10, 2003 inteview with David Edwards, Crosbie told The Mirror (citation) : "When I think about it, I think humans are the nastiest species of animal on the planet ...". In the same interview she describes herself as "impatient, intolerant, judgmental, tactless -- I'm not very nice, I'm really not. And if you don't do it my way, by God you'll be sorry. "Supporters of Crosbie say her personaality is one of the things that makes her an ideal choice to lead the League. The folks at LACS have also tried to delete all external links to anyone except their own web site. Specifically, they have deleted the following links to interviews with their former leadership. I include all the links I included (unlike LACS, I believe in balance and can co-exist with divergent viewpoints so long as both sides are represented). * Horse & Hound: Anti turns pro: "Graham Sirl speaks out"
* Horse & Hound: Anti turns pro: "Miles Cooper"
Oh well go on then, I may as well confess; once again I'm sitting on the sofa lusting after things I can't afford, but weirdly imagine would give me that elusive sense of completeness [until the next thing]. I’ve been lucky enough to have a go with one of these on a weekend away with The Bambi Basher and to be fair there really is something a little bit magical about them. 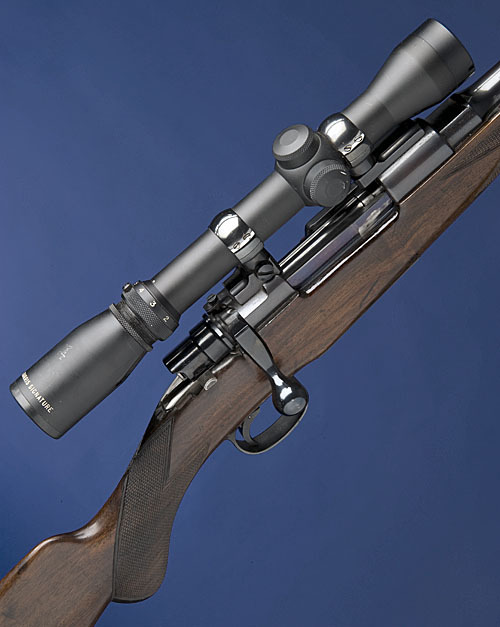 We made a short video of the .275 in action you can see it here. £1600 ($2,462) is a fair whack of cash (especially at the moment) but this rig, a box of solids [footsteps of Karamoja Bell an’ all that] and you’re good to go. Classic, elegant as you like, and remarkable in any company, could this be The One? Must be love. Then again what would you buy for the money? PS I've seen both Karamoja and Karamojo used, but as the place seems to be spelled Karamoja, I'm going with that. What would happen to Ishi today? A few Brazilians first heard of the lone Indian in 1996, when loggers in the western state of Rondônia began spreading a rumor: A wild man was in the forest, and he seemed to be alone. Government field agents specializing in isolated tribes soon found one of his huts—a tiny shelter of palm thatch, with a mysterious hole dug in the center of the floor. As they continued to search for whoever had built that hut, they discovered that the man was on the run, moving from shelter to shelter, abandoning each hut as soon as loggers—or the agents—got close. No other tribes in the region were known to live like he did, digging holes inside of huts—more than five feet deep, rectangular, serving no apparent purpose. He didn't seem to be a stray castaway from a documented tribe. Eventually, the agents found the man. He was unclothed, appeared to be in his mid-30s (he's now in his late 40s, give or take a few years), and always armed with a bow-and-arrow. Their encounters fell into a well-worn pattern: tense standoffs, ending in frustration or tragedy. On one occasion, the Indian delivered a clear message to one agent who pushed the attempts at contact too far: an arrow to the chest. Peaceful contact proved elusive, but those encounters helped the agents stitch together a profile of a man with a calamitous past. In one jungle clearing they found the bulldozed ruins of several huts, each featuring the exact same kind of hole—14 in all—that the lone Indian customarily dug inside his dwellings. They concluded that it had been the site of his village, and that it had been destroyed by land-hungry settlers in early 1996. I’m not sure what to make of this, in wishing to catch a glimpse of this disappearing world we’d destroy it, in leaving it alone we’d leave it for others to destroy. Let me know your thoughts. At the Ex Mrs SBW's for the next few days, hanging out with the rugrat's, while they're watching 'Horrible Histories' I took the opportunity to scan the catalogue for Holts next auction of historic and sporting arms. Found this little terror, basically a finger mounted, multi-shot mini-cannon! 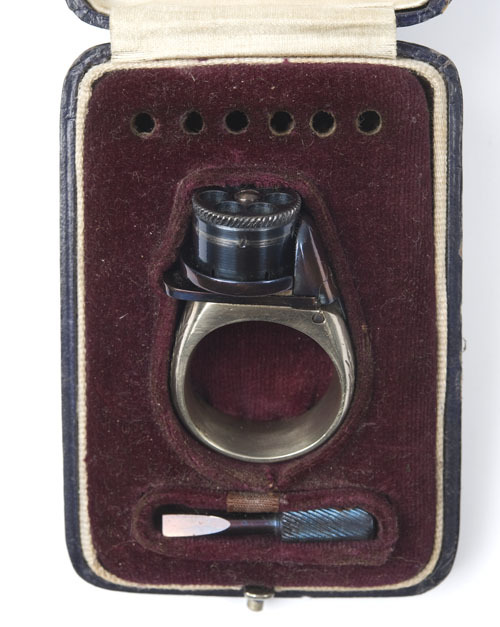 circa 1865, comprising of a small hand-rotated blued cylinder attached to a nickel-silver ring, the ring engraved with 'LE PETIT PROTECTOR' around the circumference together with two bands of floral engraving, concealed, manually cocked hammer and trigger, the whole in fine condition retaining nearly all its original finish TOGETHER WITH a flip-top jewellery-style blue leatherette covered box, an inlaid white metal plaque to the top of the lid engraved 'LE PETIT PROTECTOR', the inside lined in off-white satin and maroon velvet, compartmented in the continental style with locations for the pistol, six rounds of ammunition (missing), and a small blued turn-screw.